Note that I’m not speaking strictly of the HF spectrum here. But mark this: a radio revolution is, right now, in the making. ARS Technica just last week published an article entitled, “How software-defined radio could revolutionize wireless” in which the authors argue that software defined radios (SDRs) might not only open the door to new uses for our radio spectrum–uses we can’t currently fathom!–but also open the door to unlimited free innovation. Innovation in the form of experimental hacking, much of which could simply fall below or outside of the FCC and other spectrum governing bodies, could become the province of literally anyone who wants to give it a go. The article takes the reader through the evolution of SDRs and introduces a company manufacturing a product that could be to the radio spectrum and wireless communications what Apple became to personal computing. I typically quote my favorite parts of an article, but this one is so very well-written and comprehensive, you really will want to read it in its entirety. Click here to read, “How software-defined radio could revolutionize wireless“–and let your imagination take flight. This entry was posted in News, Software Defined Radio and tagged arstechnica, FCC, SDR, SDRs, Software Defined Radio, Wireless on July 31, 2012 by Thomas. This morning, I’ve been enjoying Radio Australia’s live coverage of the London 2012 Summer Olympics. 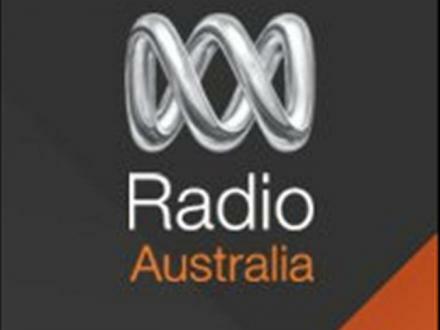 In an era where Olympics coverage is tightly controlled by television networks (and swallowed with a generous amount of sponsorship ads) it’s a relief to know that I can hear live, uninterrupted coverage via Radio Australia on shortwave. Radio Australia is well known for their sports coverage. Indeed, I’ve heard their dedication to cricket, football and rugby coverage secures their listenership throughout Asia and Oceania. I believe it. Thanks, RA! This entry was posted in Broadcasters, Current Events, News and tagged London 2012 Summer Olympics, Olympics On Shortwave Radio, Radio Australia, Radio Australia Olympic Coverage on July 28, 2012 by Thomas. Joshua Goldman, with CNET, has written a review of the Grundig G2. What’s more, he offers a fairly thorough review of the Grundig G2’s features and design. First of all, I’m very impressed that CNET would bother reviewing a shortwave radio at all. Typically, I look to CNET for reviews of portable hi-tech like cell phones, iPods, cameras, computers, and the like; to see them review a shortwave seems like a broad-minded effort. 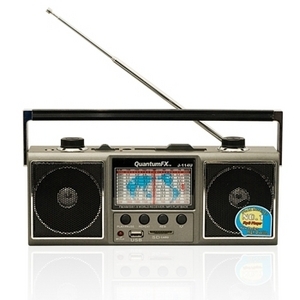 If you’re most concerned with pulling in FM stations, you’ll be happy with the G2 Reporter. Even some stations that I’ve found difficult to tune with other portables came in strong. Tuning of AM and SW was good, too, but less reliable than FM. And…that’s it. So much for the G2’s shortwave. So, though this is not a review of the merits of the Grundig G2 as a shortwave radio, it does cover the radio’s recording features, battery, .mp3 and .wav file playback, battery, design, and similar features. Which, at least, is a step in the right direction. This entry was posted in Reviews, Shortwave Radio, Shortwave Radio Reviews and tagged G2, Grundig, Grundig G2, Grundig G2 Review on July 27, 2012 by Thomas. Is there anything to listen to on shortwave? It’s no wonder I get asked this question so much. 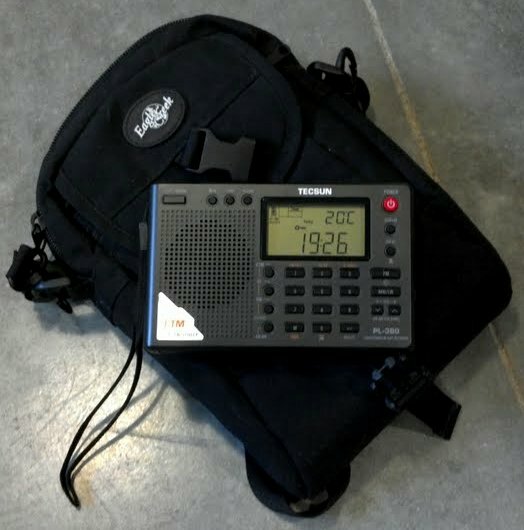 First of all, the root website for the SWLing Post is SWLing.com, which is dedicated to teaching people the basics of using a shortwave radio. Indeed, if you search the internet for shortwave radio reviews or how to use a shortwave radio, you’ll most likely see this site somewhere near the top of the search results. So it makes sense that many of our readers are just starting out in shortwave. 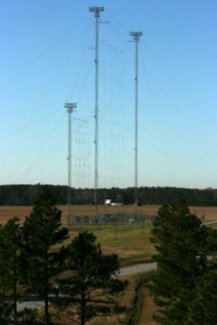 But the primary reason people wonder about shortwave’s vitality and want to check its pulse, is due to recent news about shortwave broadcasters leaving the spectrum. Most recently, Radio Canada International, Radio Netherlands Worldwide, Radio Bulgaria have all closed up shop, and broadcasters like the BBC World Service and Vatican Radio have trimmed down their shortwave offerings. It’s unfortunate, and does make the continuation of shortwave seem doubtful to those who know less about it. The Edward R. Murrow Tranmission Station’s slewable curtain antenna. Question: So is there anything to listen to? Answer: Absolutely! Regular shortwave radio listeners already know the answer to this question. Sure, the landscape of the shortwaves is changing, but it’s such a vast landscape that, even with a few major players dropping out, there is still so much to hear and appreciate. In fact, we’ve only been talking about governmental international broadcasters, in the main–which doesn’t even include pirate radio, clandestine stations, utility stations, religious networks, spy numbers stations, digital modes, and ham radio communications. Among others. 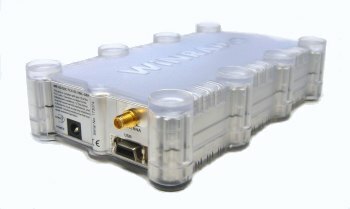 Last Friday, I spent a pleasant afternoon reviewing the WinRadio Excalibur software defined receiver (SDR). Perhaps my favorite feature of many modern software defined receivers is their ability to record not only individual shortwave radio broadcasts, but also record radio spectrum. In other words, instead of recording a single station on 9,555 kHz, the WinRadio Excalibur (and similar SDRs) could easily record everything between, say, 9,410 and 9,635 kHz. Later, you can play back the spectrum to listen to and record individual broadcasts as if they were live. At least, this is exactly what I did last Friday at 20:00 UTC. Fast forward to yesterday: While listening and tuning through the Friday spectrum, I once again realized how many stations are crammed into this relatively small chunk of the shortwave spectrum. Yet I only captured about 250 kHz, or .25 MHz of shortwave spectrum. To put this in perspective, this is a chunk of spectrum so small, you could fit four of them between 95 and 96 MHz on your car’s FM dial. And what did I find? A lot of stations–and a lot of variety! In fact, I then went through and recorded 8 samples of the stronger broadcasts. 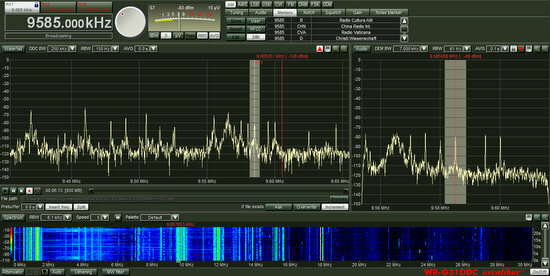 Note from the DDC spectrum window (the one immediately below the tuning knob and S Meter) that there are many, many other stations–indicated as spikes in the spectrum, above–that I did not bother to record. I didn’t set out to find the most active piece of shortwave spectrum–I chose this one pretty much by chance. Perhaps the real fascination I find in listening to recorded spectrum, as I did above, is that each time I go back through a recording, listening carefully, I find so many other items that I would have otherwise missed. In other words, the better your ears, the more you will hear. And there’s lots to hear. 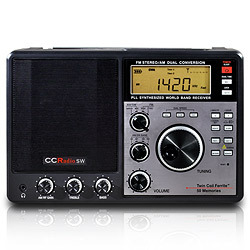 A good portable radio, like the C.Crane CCRadio-SW, can easily receive the major international broadcasters and even some low power regional shortwave stations. Prove it to yourself. Pull out your portable radio, your tabletop, your SDR or your general coverage ham radio transceiver, and just listen. There’s still a vast, informative, oftentimes mysterious world out there on the shortwaves, simply waiting for your ears. This entry was posted in Articles, Broadcasters, Recordings, What's On Shortwave and tagged Is Shortwave Radio Dead?, Is there anything on shortwave?, Is there anything to listen to on shortwave radio?, Shortwave Radio Recordings, What to listen to on shortwave, What's On Shortwave on July 25, 2012 by Thomas.